Frankly, I'm a little bit in love with anyone who is called Gus Gordon. Surely this is the coolest name ever for an author (or the alter ego of some kind of funky super hero!). I am also in love with the end papers of this book which are maps of New York and are just incredibly awesome. 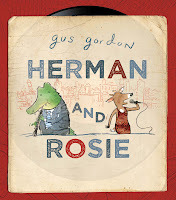 But I'm assuming you don't buy kids books based on the author's name or the end papers (you should) so here is a little bit about the rest of Herman and Rosie. Herman is a crocodile who plays the clarinet and likes watching films about the ocean. Rosie is a goat (I think) who loves to sing and watch films about the ocean. They live quite near each other is a big city that sometimes makes them feel like anything is possible, but often makes them feel lonely. If I was writing a press release for this book I would say it is a story of New York, of music, of loneliness and of friendship. 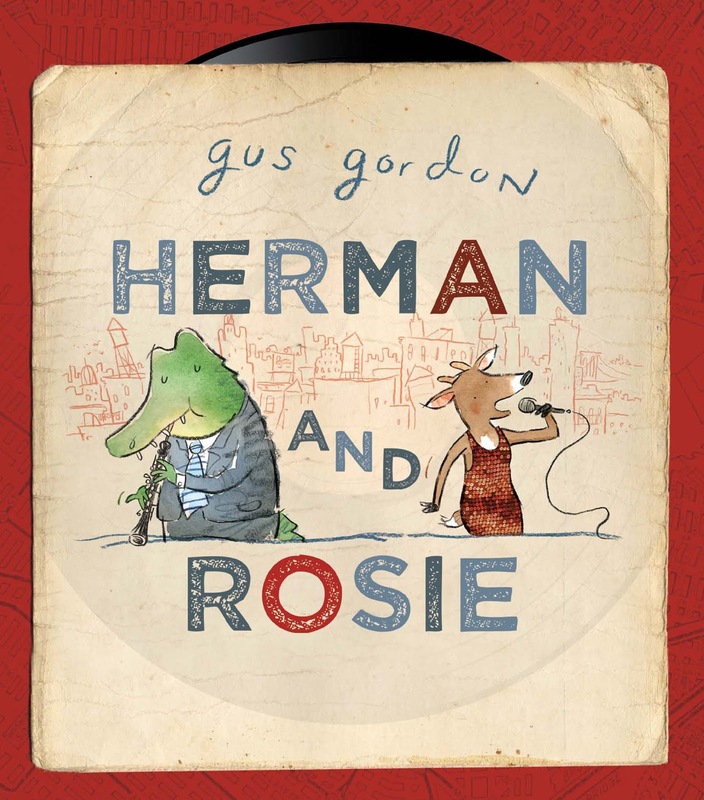 For everyone else I would say that Herman and Rosie is a lovely book about being lonely and making a friend. This would definitely be a useful tool in starting to talk to your kids about their emotions. The idea that you can feel lonely even while you are among lots of people and discussing the things that make Herman and Rosie happy would provide a great start to the conversation. Th illustrations are lovely and convey the sense of isolation that a big city can bring perfectly. There was a bidding war for the rights to Herman and Rosie and I can understand why. It is exactly the kind of book that would appeal to children's book publishers - whimsical and wistful with amazing emotion behind it especially, I would imagine, if you have ever been to New York. It's interesting in that way - I sometimes wonder if kids get as much from these books as grown-ups who are still in touch with their sentimental inner child do. Maybe this is, in fact, a grown-ups book that kids will also enjoy. It's hard to say. My kids certainly liked it and so did I. Who'll love this: Older kids, perhaps 4-6 year olds, kids who struggle with feeling lonely, and anyone who loves New York! Hello Mummy Vic! This is a great book. I was planning on buying a great read for the baby elves and this post caught my eye. Thank you!